Bro. Willy Navea at Amoranto Stadium, June 2011. Before He came to know the Lord, Bro. Willy Navea lived in worldly pleasures, indulging in many vices like alcohol and cigarettes. He was such a hard drinker and chain smoker that he developed many diseases, two of which were liver and lung diseases. He was in and out of hospitals, but his diseases progressed and he became very weak and lost a lot of weight. He couldn’t work anymore, so he had to quit his job. Also, the doctors had given up on him. He was only 35 years old, and he was dying. Bro. Willy knew he hadn’t much time to live. He decided to go home to Bicol province because he was thinking that the funeral expenses were so expensive in Manila and he and his wife couldn’t afford it. So, he left his wife (who was working in Manila) and traveled to their hometown. Bro. Willy was desperate. He knew he was going to die but he wasn’t ready. He thought he was too young. The thought of facing death tormented him. When he arrived in their home in Bicol after a long travel, he found out that the worship service of JESUS MIRACLE CRUSADE INTERNATIONAL MINISTRY was being held in their house. As it turned out, the Gospel was preached to him and he readily received the Lord Jesus Christ as his Lord and Savior and was baptized in water in His name. He poured out all his hope and faith to the Lord. He continued to serve Him. It didn’t take long that he got completely healed and he recovered. He testifies that his friend, who also had liver disease, but didn’t choose to accept the Lord Jesus’ offer of salvation and healing, died in just a few weeks. Bro. Willy received new life from the Lord almost two decades ago. He continues to serve the Lord fervently to this day. Halleluia! To God be the glory! 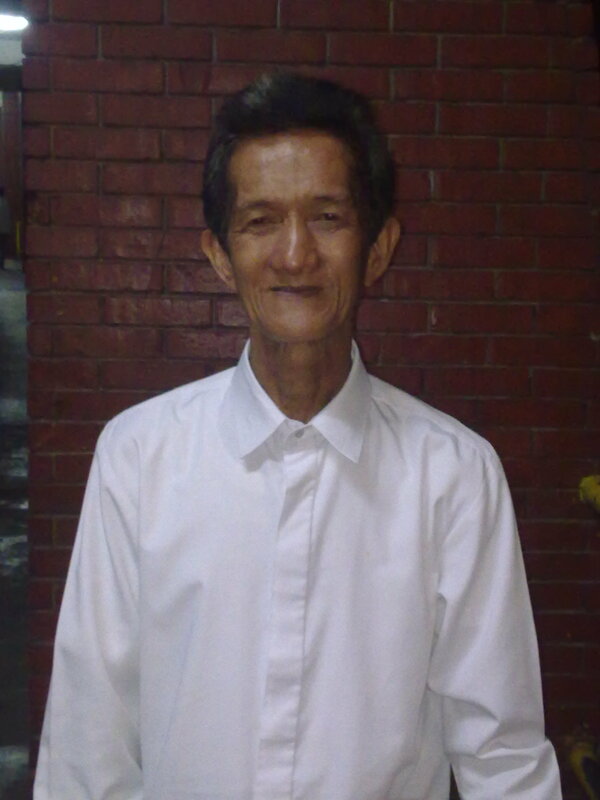 Beloved Dr. Ric Alarcon at Amoranto Stadium, Quezon City, January, 2011. 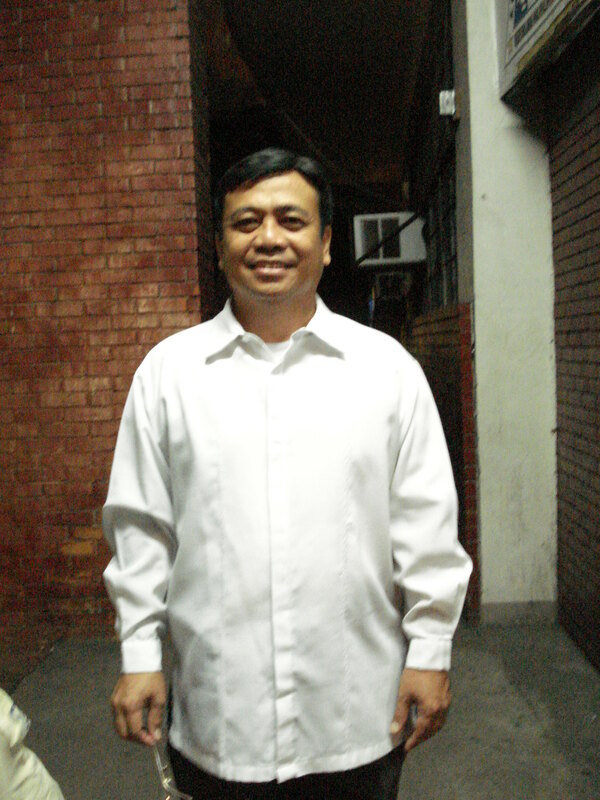 He is fondly called beloved Doctor Ric Alarcon or “Beloved Doc” by the brethren for he is a dentist. Coming from a well-off family, Bel. Doc had fine schooling, graduating from the famous Catholic school for boys, Collegio de San Juan de Letran. But Bel. Doc had been suffering from asthma from childhood even until he got married and had a family. He was also living a life indulging in many kinds of vices – cigarettes, alcohol, gambling, and women. His bronchial asthma attacks made him suffer frequently. Although he took maintenance medicines, he never really received healing but only temporary relief. On top of this, he was also diagnosed to have an infectious hepatitis. He was brought to the hospital but there was nothing they could do to stop the disease from advancing. He was told that his liver disease had the tendency to develop to cancer of the liver. His body was covered with jaundice. He endured terrible piercing pain due to this disease. With the onslaught of his liver disease, he also suffered from hypertension. He knew then that his life wouldn’t be long. One day in 1983, he was invited to a crusade of the JESUS MIRACLE CRUSADE INTERNATIONAL MINISTRY in Luneta Park, Manila. There he received the Lord Jesus Christ as his Lord and Savior and was baptized in water in Jesus’ name. Then he was prayed over and laid hands on by the beloved Hon. Pastor Evangelist Wilde E. Almeda. Not long afterwards, he received complete healing from all his diseases, without the help of medicines. After his miraculous healing, Bel. Doc continued to witness various miracles as he continued to serve the Lord. He was one of those beloved brethren who were delivered by the Lord from the rebel soldiers attacking the TV station where they were then attending the live TV broadcast of JMCIM during the 1989 coup d’etat. Bel. Doc continued his dental practice, having received healing from the Lord. But he had fallen so in love with his Savior that he would close his clinic at noon to sing praises to Him. But he wasn’t contented with the set-up, he felt he wanted so much more. He had received and felt the true love of the Lord Jesus Christ that he wanted to offer his life to Him. He then decided to close his clinic and give up his dental practice, and entered the Pastoral House to become a full-time worker. He surrendered his life fully to the Lord. Later on he became an ordained preacher of the Church.